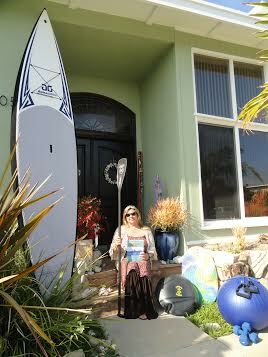 SUP Inspires California Mom Who Paddles For Her Total Well Being. One of the many joys and rewards of writing a book that truly connects the world of stand up padding, is the fact I get to connect with so many amazing, inspiring people. 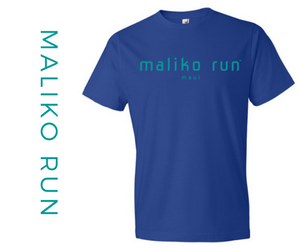 All ages, all levels men and women and families; all seeking to bond to a sport that leaves us feeling so invigorated and strong inside and out. 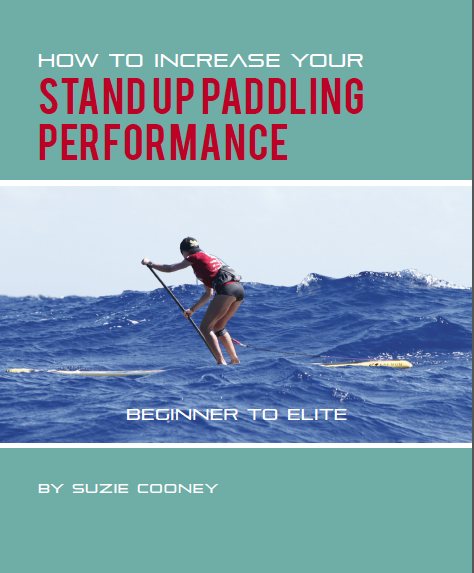 Since the release of my book, How to Increase Your Stand Up Paddling Performance, Beginner to Elite in September 2015; I have received hundreds of emails of gratitude and thanks for putting together a book that really touches everyone in so many different ways. People have said, “it’s like having you next to me talking as if we are in the same room or on the water together.” Wow, Mahalo. 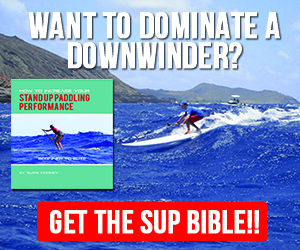 From many of the elite pros, to those who are still discovering the sport of stand up paddling, there are also thousands of people who because they have started stand up paddling, have transformed their lives literally from head to toe, and inside and out of every part of their soul. I’m writing today to share one of these stand out emails from one of those people, whose words and kind sentiments literally brought me to my knees. This special woman is Tracy. 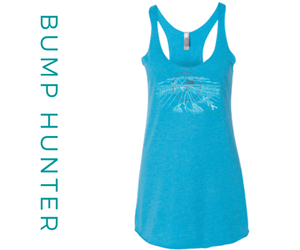 Tracy is a very busy Mom and wife from Southern California who is on a life mission to get her health back and be an inspiration to others through the sport of stand up paddling. Below is the original email that caused me to gasp for air and grab my heart. I had to catch my tears before they hit my laptop. At that moment, I had the biggest validation I could ever ask for. And while I never doubted myself in any of my endeavors I REALLY felt humbled while at the same time I felt an overwhelming sense of responsibility. I am so stoked!! Your book arrived yesterday in the mail – that was so fast! Couldn’t wait to open it and get into Chapter 7 as you advised me to do. But first, I saw the gorgeous turquoise bow you put around it and that put a huge smile on my face.. Followed by the awesome paragraph you wrote for me . You made me so HAPPY!!!!!!!!!! Thank you so much, I really appreciated it.. Your words will never be taken lightly. Plus loved the little card with your request for a photo of me with the book. I will get that done ASAP! 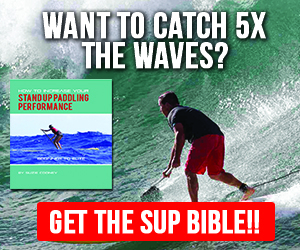 I will head down to my favorite SUP spot here and get a photo of me with my book on my board. I also have to tell you that I bought an Indo board with the black balance cushion probably about 8 months ago, as well as the rubber bands, on your advice from your website. It sure helped me with my balance! I do enjoy working out on it still. Even my kids get on it to help with their different sports (sailing, volleyball and Tae Kwon Do). I went ahead and read your chapter 7 twice already, just for it to really sink in. It really resonated with me. That was yesterday.. SO today (it was raining pretty hard.. odd for Southern California, thus no SUP), I headed off to a fairly new gym in town and signed up for their combo kick boxing/cross fit classes. As you advised, I wanted to surround myself with upbeat, positive people. 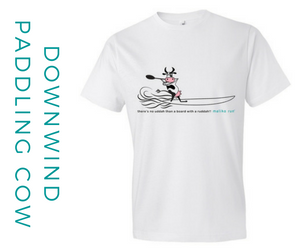 When I turned 50 (last November) I realized I was totally over those that were draining my good vibes, and thus as you said, “paddled away”… Thank fully I have an EXTREMELY supportive husband and kids. They are wonderful and are always encouraging me and are my biggest fans, so all on the home front is good. It was just a couple of women I know that were driving me bonkers…. Neither were “water lovers” so that probably explains their negative behavior! Something wrong with someone that doesn’t love the ocean right?!! I cannot wait to immerse myself into the rest of the book. SO cool to have a copy again. I plan on showing it to everyone I know who paddles (and even some of those that don’t).. 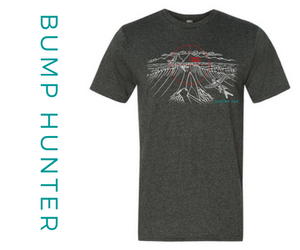 I will take it by a couple of my local SUP stores here too…. Tell them they should purchase some from you and sell in their stores. I feel all should know how great the book is! Looking forward to your next book as well. I believe I read that you are halfway through it? 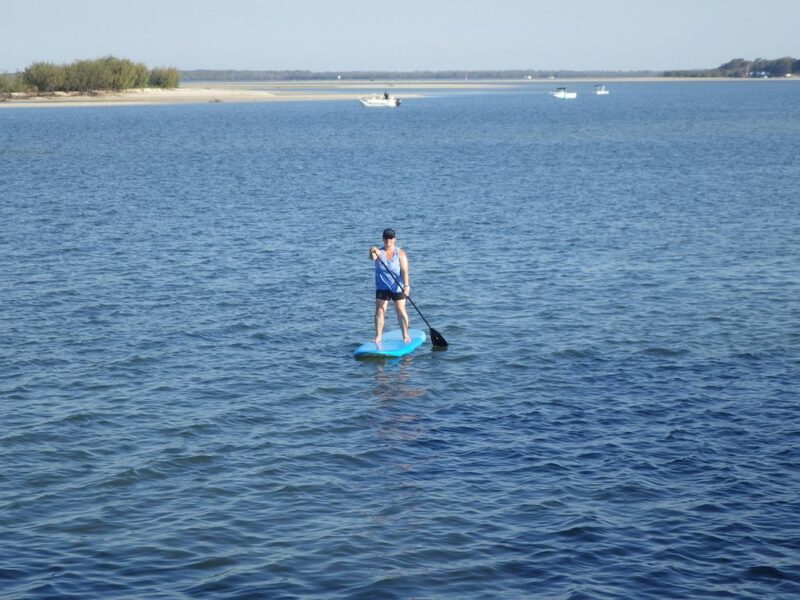 By the way, you will be paddling with me tomorrow…. “We” will be paddling at Dana Point, just past Newport Beach. It is going to be a great morning! I am excited about getting to the point of “getting in the zone” eventually. To the Best Days of my Life and to you Suzie for helping me to make it so! This wonderful woman bared her soul and her life to me. Her story and personal discoveries gave me even more inspiration to reflect on how stand up paddling truly touches a deep core within so many people having such a positive effect. Wow. 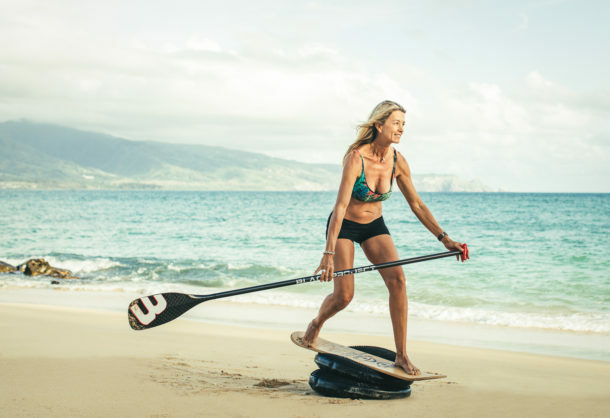 As you may already know there are so many wonderful health benefits from stand up paddling but it’s also a sport that shapes one’s entire well-being. This is the real take away here as is Tracy’s determination to also be an example of health to her family. 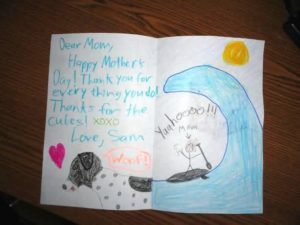 You can see in this photo that they already associate their mom with her happiness on the water from their mother’s day card. How cute. Since this email I have officially welcomed Tracy to my team of the Suzie Trains Maui team and have enjoyed many updates of her successes. She is SUP’s cheerleader to the max and she is living proof! And in closing on an extra high note, just today as I was putting the final touches on this blog entry about our Tracy, this worthy progress note appeared in my inbox just today. All great here! No complaints – life is good! I have to give you an update… Since receiving my copy of your book and connecting with you, I have now lost a total of 35 lbs! You have been so inspirational…. Being exactly what I needed to finally become fully engaged in my health and fitness. 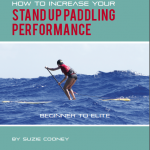 I concentrate on your workouts (via the book), plus Cross Fit training, kick boxing and of course paddling. Every workout I do, I have paddling in mind. Thrilled that I have finally become more confident and focused, and it shows on the scale! I think I have mentioned what a lovely group of people I have surrounded myself with at my new local gym. I have got many of them interested in wanting to try SUP, probably because I talk about it incessantly! Anyway I have had numerous requests from my new gym buds, if they could go paddling with me. So I am organizing a sup day! So far I have about 28 people on my list!!!  I am so stoked!! I have already spoken to one of the local sup rental companies and they are more than happy to supply boards and instructors for a reduced price! Spreading the SUP love!! A huge congrats to you girl for staying so true and dedicated to yourself. You are now setting the best example and sharing so much stoke, no doubt you will soon have your very own tribe of more health and positive strength. You will now be the SUP connector that will generate even more wellness. I applaud you Tracy for so many reasons and so will many here and you will inspire thousands. You are on your way to your healthiest way of life, through the ocean and through our amazing sport of stand up paddling. 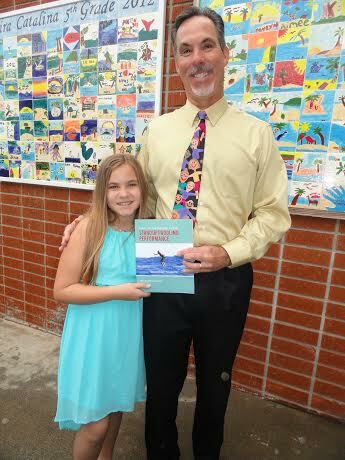 I would also like to give a very special mention to her daughter Madie who decided to spread more SUP stoke and give her 5th grade teacher, Mr. Godbold a special gift of my book after her graduation ceremony. Mahalo Madie! Thank you sincerely for helping me continue my commitment to those who need to find a new path to health. I think we all can agree that SUP is the way to be. Please come to Maui soon and let’s get on the water together. 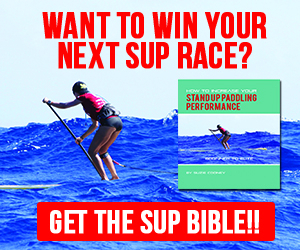 Please leave a comment for Tracy and share your stoke of SUP and a healthy, positive lifestyle.